Farmhouses or agriturismo in Tuscany are certainly the most typical and characteristic accommodations for your holidays in this beautiful and amazing region of Italy. Strategically located near wonderful art cities and surrounded by the green Tuscan countryside and its scenic landscapes with olive groves and vineyards, a farmhouse in Tuscany offers major comforts and services to make your stay incredibly comfortable and relaxing. Set only a short distance from Florence, the farmhouse features 5 vacation apartments & one independent villa. Perched on a panoramic hillside, the Tuscan landscape, tranquility & beauty are all you see. Great service & delicious home cooked meals. Beautiful Tuscany villa rental, La Loggia Fiorita, features a private villa & guest house for up to 18 persons. Absolute comfort, including WiFi & fireplace, private swimming pool, and elegant decor, promises a spectacular vacation villa. This organic farm welcomes guests to its quiet rural life, with large gardens for relaxing and fresh homegrown produce at every meal. Enclosed grounds, playground and parking make it ideal for families as well as anyone with pets. This beautifully restored 5 bedroom vacation villa rental features modern comforts, private pool & fabulous panoramic views in the tranquil countryside of Chianti, the area famous for wine & olive oil. Marvellous setting for this rural countryhouse in the heart of Chianti, with easy access to Florence. Clean, tiny and lovely accommodation in rooms, apartments or independent villas. Surrounded by the tranquility of the Tuscany landscape the Residence il Gavillaccio features 8 family-style vacation rental apartments for holidays, group events & destination weddings. The four lovely vacation rental apartments at this farmhouse overlook the fabulous tower town of San Gimignano. Combine lovely views, fresh air and the beauty of the landscape on your vacation in Tuscany. Enjoy fantastic views from the salt water infinity pool at this farm holiday with 2 self catering apartments and a bedroom suite. Close to Greve, shops, local markets & restaurants. In the heart of Chianti a few minutes from Castellina in Chianti, 2 family managed apartments and an independent villa offer a welcoming stay and a wonderful holiday. You'll find a panoramic pool, light lunch, winery tour and estate wine tastings. The spacious, family oriented holiday apartments are set on a working farm for olive oil and internationally awarded wine near Pistoia. A great base to explore Tuscany, between Florence and Lucca. These holiday apartments are suitable for couples, adults & children. The perfect blend of comfortable accommodations, vacation fun, poolside relax, outdoor games, Tuscan scenery, good wine & easy day trips to Siena, Florence & Lucca. Located near Montepulciano on the border between Tuscany and Umbria, it is surrounded by olive groves and wine yards. It offers both comfortable rooms with breakfast and fully equipped apartments. It has a nice garden with pool. Surrounded by green hills near Castellina in Chianti, this farm house is characterized by the relaxing atmosphere of Chianti countryside. It offers wine tasting and open air swimming pool. Charming farmhouse in Montepulciano, situated in that Chianti area between Siena and Arezzo famous for its wine. It offers independent apartments, all Tuscan-style renovated and completely furnished, two swimming pools surrounded by marvelous gardens. If you are wondering what the term “agriturismo” actually means, here is some history! 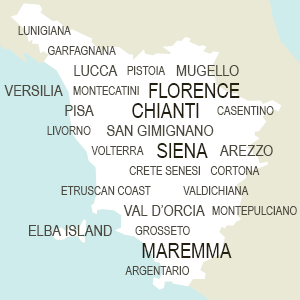 Tuscany has always been an agricultural region since very ancient times, dating back to Roman times. A large part of the region’s economy is still based on farming and cultivation of the earth. Over the last 20 years, many abandoned farms and rural homes across the region have progressively been restored and converted to offer rustic as well as elegant accommodations in the countryside. Most agriturismo are in really outstanding locations, with wonderful panoramic swimming pools and views and provide a quantity of services to guests, from bikes for rental, children’s playgrounds, guided tours, wine tastings, cooking courses, and a special location for special events, such as a wedding. Keep in mind many are working farms, so they also produce wine, olive oil, jams, honey and many other products. Choose the ideal accommodation for you: farmhouses usually offer charming rooms in B&B style or cozy apartments fully equipped with every comfort so that you can have more independence. Choosing an agriturismo will also give you the possibility to taste wonderful and delicious homemade products and traditional Tuscan cuisine as many also have a restaurant on the premises and offer their own products. Staying at an agriturismo or farmhouse in Tuscany will offer you an authentic Tuscan experience!